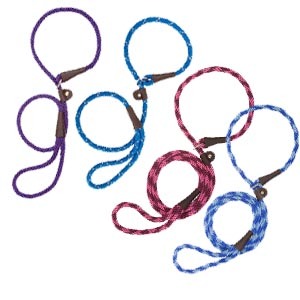 Mendota Dog Soft Slip Leads. 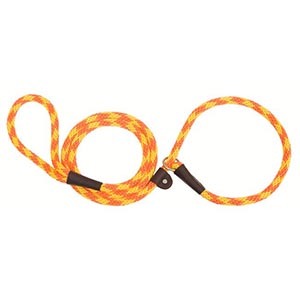 Mendota Dog Soft Slip Leads are a leash and collar in one. Also known as the slip leash. Perfect for all types of canine activity, from going for a walk with your best friend to full agility or training work. Slip Leads are very popular among dog owners and dog trainers. 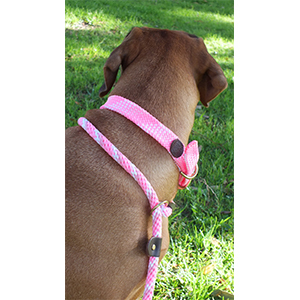 A combination leash & slip collar in one, it tightens when pulled and loosens when your dog heeds your correction but without the characteristic “check” of the chain collar. These leads feature a leather stop is set (by you) to limit the amount that the loop can open and help prevent your dog from backing out. Plus it’s soft, luxurious feel is comfortable on the hands and allows easy folding to fit in a pocket. Mix and match with Mendota’s Doublebraided Dog Collars.